The need for a good night’s sleep does not end when you are on vacation. The Therapeutica Travel Sleeping Pillow was designed to offer the same features as our full-size Therapeutica sleeping pillow while in a convenient travel size. Supports the natural curve of the upper spine and maintains proper posture during sleep. Offers relief for shoulder, neck and back pain and aids in the reduction of headache pain and assists in the reduction of snoring. 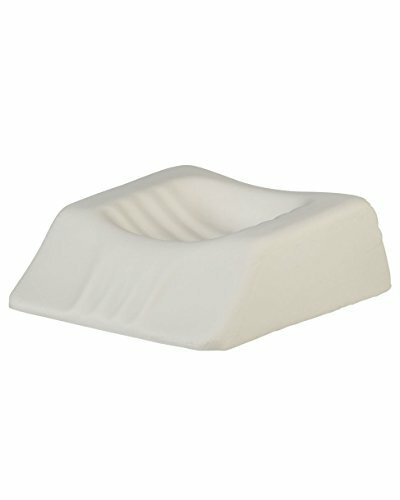 Made of hypoallergenic foam and includes a custom fitted poly/cotton cover. Available in three sizes: Petite, Average and Large. Choosing the correct size is important to your sleeping comfort. Measure: Neck to bony prominence of shoulder. Between 5 1/4 in to 6 1/4 in, choose size average. If you have any questions about this product by Therapeutica, contact us by completing and submitting the form below. If you are looking for a specif part number, please include it with your message.